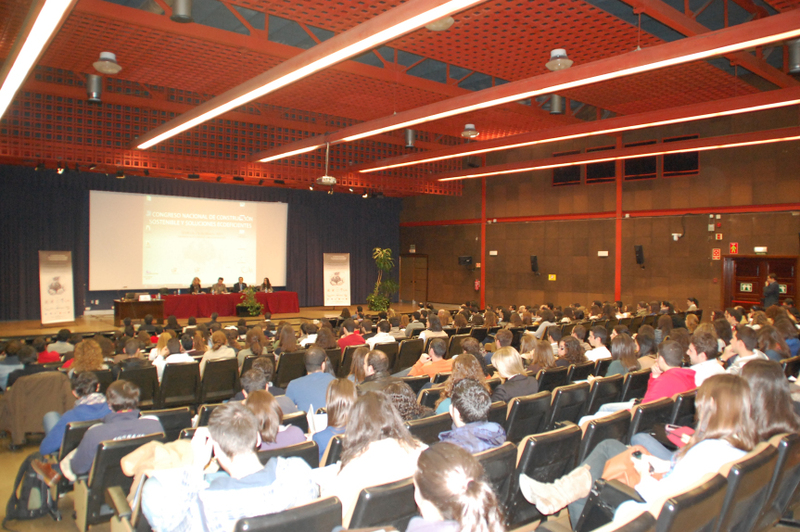 Comunicaciones en el III CICSE. En marzo de 2017 se desarrolló en la Escuela Técnica Superior de Arquitectura de la Universidad de Sevilla, el III Congreso Internacional y V Nacional de Construcción Sostenible y Soluciones Eco-Eficientes. En el CICSE se abordaron los campos de actuación implicados en el desarrollo de una sociedad más ecológica y sostenible desde todos los ámbitos de conocimiento. URBAN HEAT ISLAND AND VULNERABLE POPULATION. THE CASE OF MADRID. (Sánchez-Guevara Sánchez, Carmen; Núñez Peiró, Miguel; Neila González, Fco. Javier). The Urban Heat Island effect shows the differences among temperatures in urban areas and the surrounding rural ones. Previous studies have demonstrated that temperature differences could be up to 8oC during the hottest periods of summer in Madrid, and that it varies according to the urban structure. Associated to this ef- fect, the impact of temperature increase over dwelling indoor thermal comfort seems to double cooling energy demand. In Madrid, fuel poor households already suffering from inadequate indoor temperatures can face important overheating problems and, as a consequence, relevant health problems could become more frequent and stronger. This poses an increment in mortality rates in risk groups that should be evaluated. This research is aimed at establishing the geospatial con- nection between the urban heat island and the most vulnerable population living in the city of Madrid. Hence, those areas most in need for an urban intervention can be detected and prioritized. Keywords: Urban Heat Island; Urban Indicators; Vulnerable Population; Heat Wave; Fuel Poverty. UPDATE OF THE URBAN HEAT ISLAND OF MADRID AND ITS INFLUENCE ON THE BUILDING’S ENERGY SIMULATION. (Núñez Peiró, Miguel; Sánchez-Guevara Sánchez, Carmen; Neila González, Fco. Javier). Abstract Despite great advances on building energy evaluation, available climate data does not include the effects of the Urban Heat Island (UHI). This phenomenon, which increases the temperature in urban areas, is variable in both time and space, and implies an important lack of accuracy when simulating within an urban context. During this research the relevance of the UHI in relation to the dwellings energy performance has been confirmed, as well as the existing barriers to integrate the current UHI representations into the dynamic energy simulation process. Therefore, it is necessary to carry out an update of the existing models, in order to implement it into the energy evaluation process. In this work, as a first stage of the study and based on current techniques of geolocation and the use of Geographic Information Systems (GIS), it is established a methodology to acquire automatically an update of the UHI through isotherm maps. It is aimed to set up the starting point from which the integration of the UHI into the energy simulation process will happen. Keywords: Urban Heat Island; climate; update; Madrid; energy simulation.